Smile broadband network is a fast rising provider of super fast 4G LTE coverage for your devices and other Internet-enabled device at very competitive prices. Although, the smile network is yet to extend to the nook and cranny of the country, i have decided to compile the list of cities where you can enjoy the super-fast smile network in Nigeria. 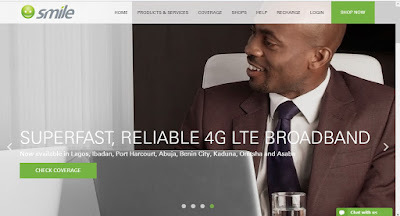 Like i said earlier, Smile network is expanding fast, you should subscribe to this blog to get updated on new cities as soon as they get covered by the smile 4G LTE Network.